With most SEC teams having already opened the 2018-19 college basketball season, let’s take a Week 1 look at the good and the not-so-good. Auburn’s Offense. Bruce Pearl’s team smoked South Alabama 101-58 in its home opener on Tuesday night. And while the incoming expectation was that the Tigers would be very good offensively, it’s going to be a really fun season on the Plains if they’re as good as they showed earlier this week. 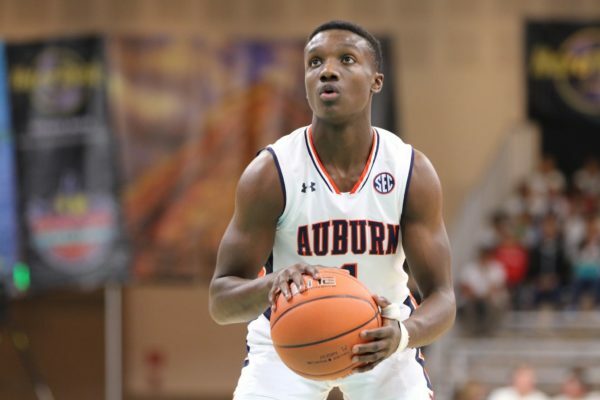 Specifically, Auburn went 18-of-38 from deep, with junior guard Jared Harper hitting six three-pointers while handing out 13 assists. Things will get much tougher for the Tigers tonight when they host #25 Washington in what should be one of the best games on this evening’s slate. Jordan Bone’s Finishing. Tennessee’s junior point guard – who also happens to be Tennessee’s only point guard – looked phenomenal in finishing at the rim in the Volunteers’ easy 86-41 win over Division II Lenoir-Rhyne. Bone finished with a game-high 18 points on 8-of-10 shooting. Last season, the biggest criticism of the cat-quick Bone was his inability to convert shots after getting to the basket with relative ease. If Tuesday night’s performance is a sign of true improvement in this area, an already dangerous Tennessee team becomes that much scarier. The Vanderbilt Freshman. Much is expected of Vanderbilt’s five-star freshmen Darius Garland and Simi Shittu, the duo who form the core of the most highly-touted incoming class in school history. Neither disappointed in the Commodores’ 92-79 win over Winthrop earlier this week. Garland scored a game-high 24 points on 9-of-15 shooting, making three of his seven three-point attempts along the way. Shittu, a power forward who has played sparingly after tearing his ACL last December, went for 18 points and 10 rebounds in his collegiate debut. Along with Notre Dame transfer Matt Ryan and sophomore guard Saben Lee, Vanderbilt certainly will have a formidable offense. If Bryce Drew‘s defense comes along too, this exciting young team will make some noise over the next few months. #5 – Where Both Ends Happens. With the play-in round now complete, the SEC Tournament will begins in earnest this afternoon in St. Louis. The story that is dominating the headlines for the event is the return of Missouri freshman star Michael Porter, Jr., who is expected to play against Georgia today. Let’s take a look at a few of the other lingering storylines and make a couple of predictions for this weekend. Team with the Most to Gain: Alabama. The SEC bubble appears to be generally settled, with one notable exception. Alabama has slumped down the stretch, losing its final five games to go from a relatively safe bet to potentially on the outside looking in. If Avery Johnson’s team cannot get past Texas A&M later today in a rematch of a game the Crimson Tide lost by two over the weekend, they are likely headed to the NIT. On the other hand, a win against the Aggies would give the Tide another shot at a quality win against Auburn in Friday’s quarterfinals. If they turn out to be unable to emerge from this weekend’s tournament with an enhanced resume and end up completely missing the NCAA Tournament, this season will be nothing short of a monumental disappointment. Player to Watch: Michael Porter, Jr. This is an easy call. No one realistically expected the preseason All-American to return after suffering an injury in Missouri’s very first game of the season, but now he is set to enhance a team looking to immediately improve its postseason position. Porter can help a team that has enjoyed a nice turnaround under first-year head coach Cuonzo Martin, finishing 10-8 in SEC play. 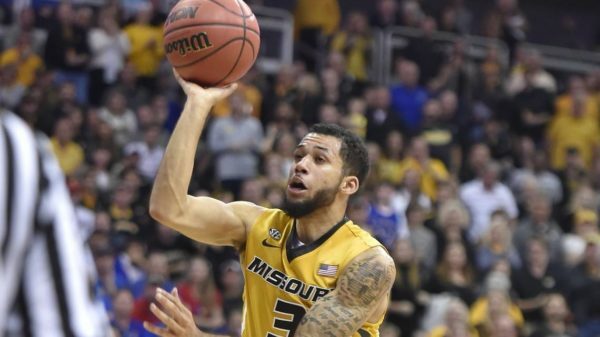 The more action the young forward can get as Missouri prepares for the Big Dance, the better — returning from a nearly four-month layoff is never easy. The fact that he returns to the Tigers’ lineup with the SEC Tournament being played just down the road in St. Louis makes this story all the more intriguing. With just over a month remaining in college basketball’s regular season, the SEC is collectively better positioned for postseason play than it has been in a very long time. But as of today, only two teams – Auburn and Tennessee – should feel completely comfortable about making the upcoming Field of 68. 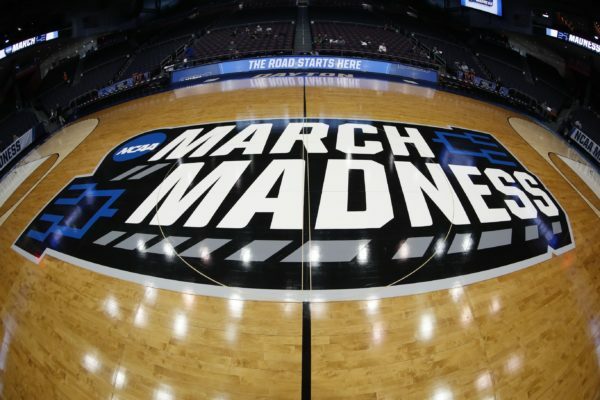 On the other end of the spectrum, barring any unforeseeable late-season surges, we feel safe in saying that four SEC teams – Vanderbilt, Ole Miss, South Carolina, and LSU – will miss out on this year’s Big Dance. That leaves eight teams in the messy middle, so let’s take our first look at the otherwise crowded bubble and offer some predictions on the fortunes of those squads. Kentucky. Despite the considerable angst in Lexington about these Wildcats — now 6-5 in SEC play with trips to Texas A&M and Auburn upcoming — they appear to be safe, for now. They have 10 top-100 RPI wins without any bad losses, and there will be several more opportunities for quality wins down the stretch. Chances of making the field: 90%. Florida. The up-and-down Gators are a surprise on this list, and not in a good way. At 15-8 overall, they’ve now lost three in a row in SEC play and face a very difficult closing stretch. 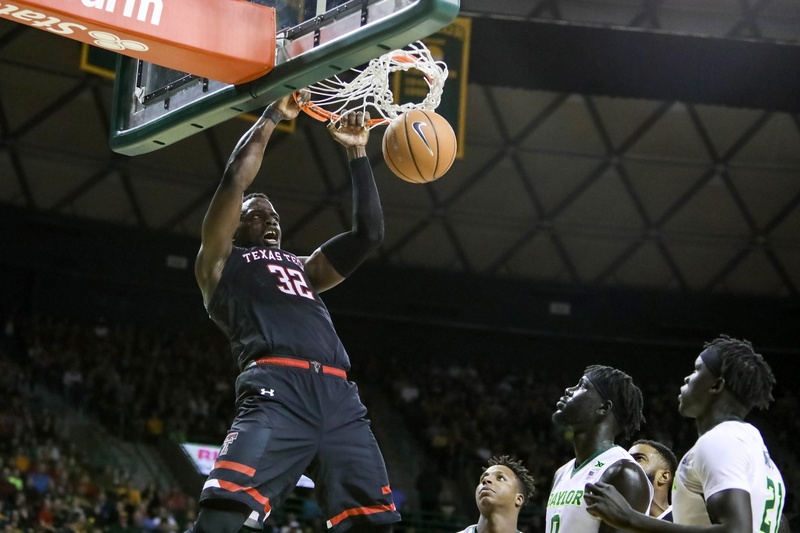 While they currently have seven top-50 RPI wins, four Tier-2 losses mean Mike White’s team needs to take advantage of its chances over the last two weeks. Chances of making the field: 85%. Texas A&M. After what was the best performance of any SEC team in non-conference play, it is hard to understand how the Aggies have landed on this list. An 0-5 start in conference play will certainly do that, however, and even though they have won five of their last six SEC games and hold five Tier-1 wins, the Aggies have more work ahead. Chances of making the field: 80%. In the era of advanced metrics and a discerning understanding of the importance of efficiency in college basketball, it seems unusual to contend that a team’s success is predicated on its ability to knock down the three. But with this year’s Florida team, that belief is an appropriate one. 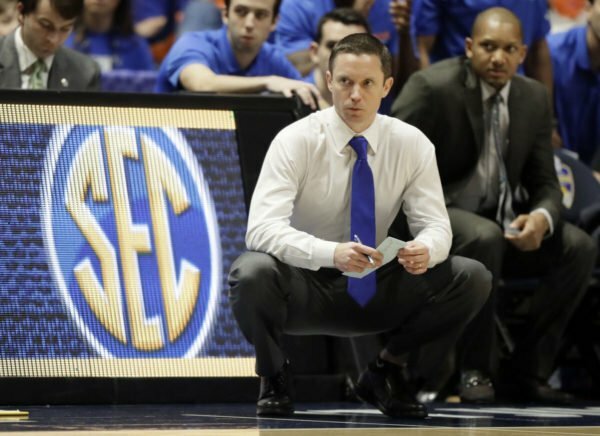 After the Gators’ third consecutive SEC loss on Saturday – a 68-50 drubbing at the hands of Alabama – it is all too apparent that Florida’s inconsistency on the offensive end is the corresponding reason for its overall inconsistency. The Crimson Tide outscored Florida 41-17 in the second half in what was the Gators’ second straight conference loss at home and whopping fifth overall in Gainesville. Remember when they were ranked as high as sixth in the AP poll earlier this season? A common theme in each of Florida’s eight defeats has been its inability to knock down the perimeter jumper. The Gators are shooting 29.5 percent from beyond the arc in those losses while they are at 41.9 percent in their 15 wins. In other words, when things are going well for Florida, they go really well. But when those outside shots are not falling, ugly and somewhat inexplicable ones – such as Saturday’s beatdown, as well as home losses to Loyola (Chicago) and South Carolina – occur. This significant disparity from three-point range has led to an overall effective field goal percentage of 50.9 percent, which ranks 171st in the nation. 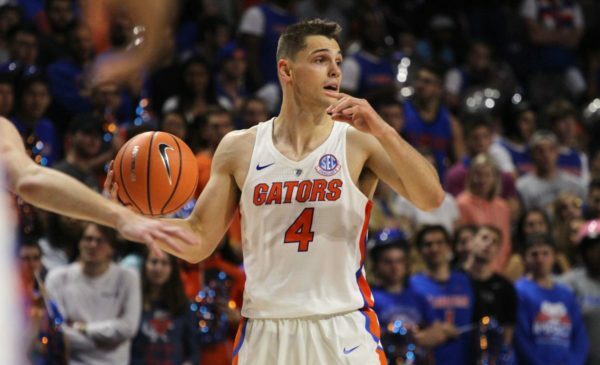 While the ability to make shots and score in bunches will still make the Gators a dangerous team in March, it also puts them at significant risk of being an early out in postseason play. 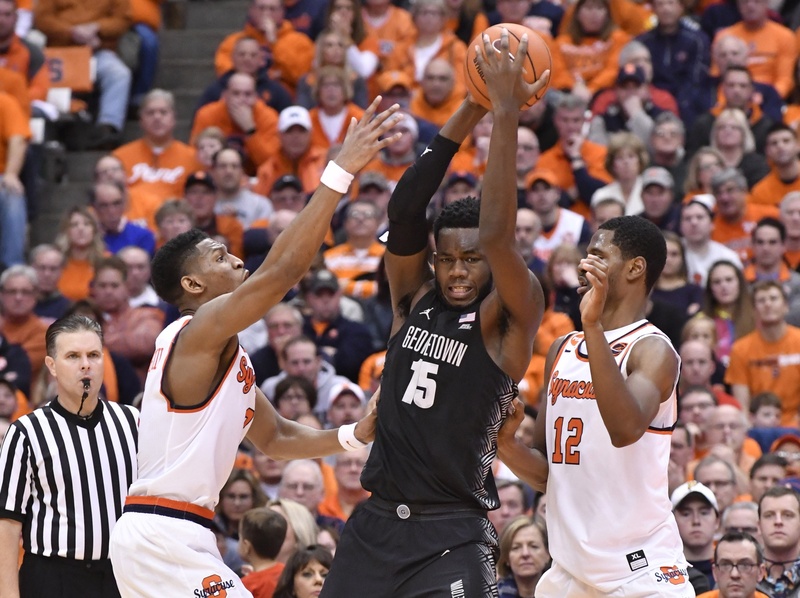 There wasn’t much ACC action this week but the weekend promises a double-header in the Sunshine State, an ancient Big East rivalry renewed, and a pair of huge road tests (all ratings are via KenPom and statistics are through the games of December 14). Syracuse (#56) at Georgetown (#95). An old Big East rivalry will be renewed as Georgetown has now finished the MEAC portion of its schedule. This is the toughest test of the season to date for the Hoyas, as their 8-0 start has come against a schedule that ranks dead last nationally. Syracuse star Tyus Battle has scored 20 or more points in three straight games, as the sophomore appears to have taken the leap that many expected — his PER (15.2 to 23.6) and Offensive Rating (116.4 to 123.1) have both significantly improved from last season. Virginia Tech (#28) at Kentucky (#14). In what feels like a major statement game for Buzz Williams, the Hokies will travel to Lexington to take on a young and mostly untested Kentucky team. This Virginia Tech squad plays a very similar style to Kansas, which beat the Wildcats at the Champions Classic earlier this season. The Jayhawks won that game despite shooting just 8-of-28 from distance. The Hokies (96.2 PPG), on the other hand, are the highest scoring team in college basketball and rely heavily on three-point shooting (46.8% 3FG, second nationally) while mostly playing away from the basket. If Virginia Tech wishes to pull the upset at Rupp Arena tomorrow, it will need to convert double-figure three-pointers while shooting a high percentage.